Chronic kidney disease (CKD) is a condition in which the kidneys cannot perform their normal functions. 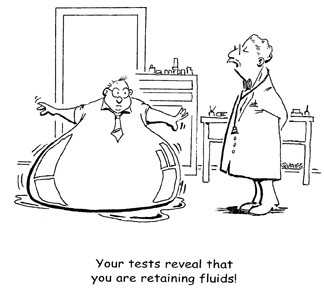 Your kidneys lose the majority of their filtering ability and, as a result, fluid and waste accumulates in your body. Decreased blood flow to the kidney: this may occur when there is extremely low blood pressure caused by trauma, complicated surgery, septic shock, haemorrhage, burns, associated dehydration or other severe or complicated illnesses. Over-exposure to metals, solvents, x-ray dye, certain antibiotics and other medications or substances. 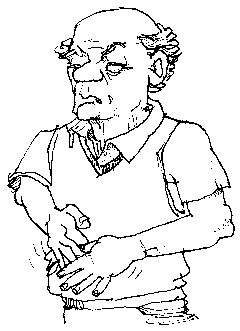 Acute Tubular Necrosis (ATN) may occur when the tissues are not getting enough oxygen. Short-term treatment may be needed for acute kidney disease, but the kidneys usually recover on their own. However, if the cause of the acute kidney disease persists, there can be permanent damage to the kidney, which would lead to CKD. CHRONIC KIDNEY DISEASE (CKD) usually develops slowly, with few signs or symptoms in the early stages. You may still be passing normal amounts of urine, but it will be poor quality, and waste products, which should normally be filtered out, will remain in the body. Many people, with CKD, do not realise they have a problem until their kidney function has decreased to less than 25 percent of normal (CKD4). This damage usually occurs slowly, and is not reversible. 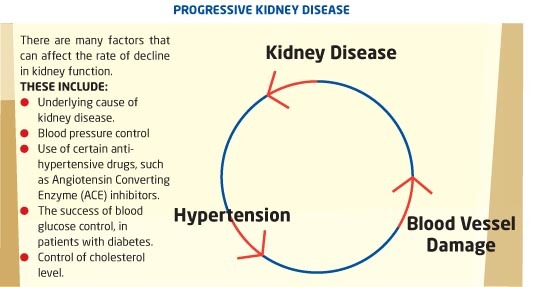 The rate of deterioration of kidney function is variable, ranging from more than ten years to only a few months. 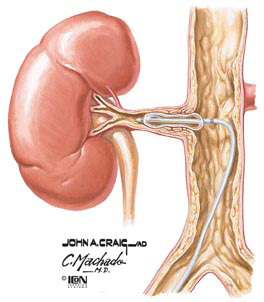 Eventually, the kidneys can only function at less than 10 percent of normal capacity. The kidneys have almost stopped working at this stage and treatment, in the form of dialysis or a kidney transplant is required to take over the work of the kidneys and maintain life. This is commonly known as END STAGE KIDNEY DISEASE (ESKD). In other words, kidney damage is irreversible and cannot be controlled by conservative management alone. When kidneys reach 'end-stage', they never recover. Once somebody has some degree of kidney disease it frequently progresses over time. The rate of progression can vary. The stages of CKD can be thought of in terms ranging from 1 to 5. 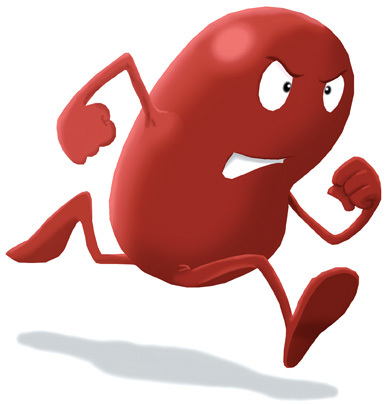 Most patients who are diagnosed as having CKD 1, 2, or 3 have only mild kidney disease and do not progress to ESKD. The GFR can be calculated by doing a 24 hour urine collection. Once the GFR is below 70, it frequently continues to decline. 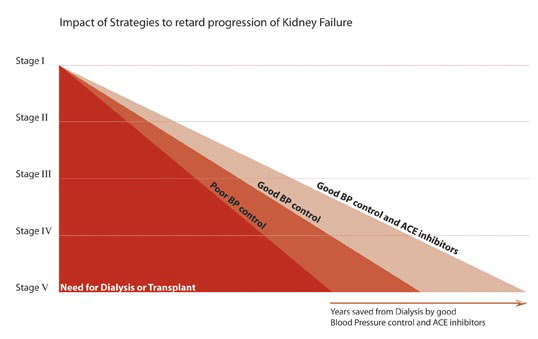 If the GFR declines by one ml per year, it will take 80 years to progress from CKD Level 1 to CKD Level 5, requiring dialysis or a kidney transplant. However, if GFR declines by 10mls per year it will only take 8 years to go from CKD Level 1 to CKD Level 5. Diabetes Mellitus - Diabetes is a disease in which a patient cannot control the amount of glucose in their blood stream. It is caused either by an inability to produce the substance called INSULIN, which controls glucose in the body (Type 1 Diabetes), or, if the body is unable to respond to the insulin that is produced (Type 2 Diabetes). Whether diabetes is treated by insulin, tablets or diet, it can cause kidney disease. Apart from raised levels of blood sugar, an important feature, of this disease, is the damage that occurs to small blood vessels. The kidneys contain many small blood vessels and, when damaged by high blood sugar levels in the blood, they are replaced with scar tissue and become blocked. Diabetes can also damage the nerves in many parts of the body. When the bladder is affected, it is more difficult to pass urine, resulting in a build-up in pressure on the kidneys, causing further damage. The urine of people with diabetes has a high sugar content, which encourages the growth of bacteria and, as a result, kidney infections may occur. Poor sugar control combined with high blood pressure can increase your risk of making kidney disease worse. High Blood Pressure - Hypertension means high blood pressure. measurement, which represents the pressure generated when the heart beats). DIASTOLIC blood pressure is consistently over 90. Diastolic is the “bottom” number of your blood pressure measurements, which represents the pressure in the vessels when the heart is at rest). Either or both of these numbers may be too high. Severe high blood pressure can, on its own, cause kidney disease. High blood pressure can make other causes of kidney disease worse. In any person with high blood pressure, blood vessels (especially small blood vessels) become damaged. Roughly speaking, the higher and the longer blood pressure has been raised, the more blood vessel damage is likely to have occurred. To control high blood pressure, many patients need medications – known as anti-hypertensives. A lot can be done to control blood pressure including changes in lifestyle, weight loss, exercise, and avoiding salt in the diet. High blood pressure will commonly require medication to keep blood pressure within the normal range. Nephritis - The term nephritis covers a group of conditions in which there is long-term inflammation of the kidneys ('neph-' means kidney, and '-itis' means inflammation). Sometimes the condition is described more specifically as glomerulonephritis or GN ('glomerulo-' refers to the glomerulus, which is part of the kidney’s filtration unit). When a glomerulus is damaged, substances not normally filtered out of the blood stream, such as proteins, red blood cells and white blood cells, can pass through the glomerulus and enter the fluid that becomes urine. Progressive damage to the glomeruli can cause urine production to fall and waste products to build-up in the blood, leading to kidney disease. There are many types of glomerulonephritis. These may be grouped as primary and secondary. In primary GN, only the kidneys are affected. In secondary GN, the kidneys are damaged as part of a more generalised disease that can affect other parts of the body. The exact diagnosis can usually only be diagnosed for certain by a kidney biopsy. F – FOCAL means that some glomeruli are affected but others may not be. S – SEGMENTAL means affecting only a segment of each glomerulus involved. G – GLOMERULO of the glomeruli. S – SCLEROSIS meaning scarring. It seems that the general cause of FSGS is immunological. That is, the antibodies and white blood cells that usually fight off infection cause damage to the body by mistake. This condition commonly results in severe swelling of the legs and high blood pressure. The condition may reoccur after kidney transplantation and cause the failure of a kidney transplant. A number of drug treatments are used to try to stop the damage to the kidney that the condition causes. These drugs include steroids, Cyclosporin, Cyclophosphamide and CellCept. toxins encountered in the gut and lungs. In IgA nephropathy, IgA is deposited in the glomerulus, where they cause inflammation and scarring. In one third of cases, it goes on to cause progressive severe damage to the kidneys. IgA nephropathy tends to be slowly progressive, and so the process of the kidney disease can take 10 to 30 years. Multisystem Diseases Affecting the Kidney - The kidney may be affected in many ways by diseases which are not directly associated with kidney function. This is mainly because the kidneys have a rich blood supply, and come into close contact with all elements of the blood. SLE (Systemic Lupus Erythematosus) - This is a chronic auto-immune inflammatory disease which affects joints, blood vessels, skin, the nervous system and the kidneys. Inflammation of the glomeruli, within the kidneys, may result in protein and blood loss in the urine and high blood pressure. Kidney problems often occurs within three years of diagnosis of SLE. Amyloidosis - Is the term given to a group of chronic disorders characterised by the presence of deposits of an abnormal protein called amyloid. This systemic disease can affect the heart, nervous system, liver and kidneys. Within the kidneys, the amyloid is usually deposited in the walls of the kidney arteries and the glomeruli's blood vessels. This may result in abnormally high levels of protein in urine and can lead to progressive kidney disease. kidneys’ ability to filter your bloods waste. The proteins produced by the myeloma cells can cause similar problems, especially if you become dehydrated. A blood test called ANCA is commonly positive in vasculitis and is used to monitor the activity of this disease. Vasculitis can be very successfully treated, particularly if diagnosed early and treated with powerful immuno-suppressive medications. These medications include high doses of steroids, cyclophosphamide, CellCept, and Azathioprine. Polycystic Kidney Disease (PCKD) - This is a genetic disorder characterised by the growth of numerous cysts within the kidney. These cysts are non-cancerous round sacs of water-like fluid. PCKD cysts can slowly replace much of the mass of the kidney, reducing kidney function and leading to kidney disease. People with PCKD may also have similar cysts in their liver, and there is also sometimes an association with a weakness of some of the blood vessels in the brain. PCKD is the most common inherited kidney disease, and children of parents with PCKD have a 50% chance of being affected by it. PCKD frequently causes kidney disease in patients in their 50’s. PCKD is diagnosed by a ultrasound scan of the kidneys. Apart from control of blood pressure, there is no “cure” to stop the development of PCKD. Kidney Artery Stenosis - This is a narrowing of the lining of the main artery (blood vessel) that supplies the kidneys. The resulting restriction of blood flow to the kidneys might lead to reduced kidney function and high blood pressure. This type of hypertension is known as renovascular hypertension and accounts for approximately 5% of patients with hypertension. Renovascular hyper-tension occurs when the artery to one of the kidneys is narrowed (unilateral stenosis). Kidney disease occurs when the arteries to both kidneys are narrowed (bilateral stenosis). The decreased blood flow to both kidneys increasingly impairs kidney function. This condition may be amenable to treatment with a balloon to open the blocked artery. Obstruction of the urinary tract results in increased back pressure on the kidneys and increased frequency of urinary tract infections. These factors cause recurrent episodes of kidney inflammation and scarring, and the kidneys may shrink (atrophy). If the blockage is only for a short time, the kidney can usually recover completely when the blockage is relieved. However, if the blockage is there for a long time (for many days or weeks), it can cause permanent kidney damage. Pyelonephritis - This is a bacterial infection of one or both kidneys. Chronic pyelonephritis is kidney damage caused by recurrent or persistent kidney infections. Chronic pyelonephritis is associated with progressive scarring of the kidneys, which can lead to kidney disease. It occurs mainly in patients who have malformations within the urinary tract. Independent of the cause of initial kidney injury, kidney function may continue to slowly deteriorate. This is associated with high blood pressure, worsening proteinuria and rising serum creatinine. Many people who have Chronic Kidney Disease (CKD) do not know it because the early signs can be very subtle. It can take many years to go from CKD to End Stage Kidney Disease (ESKD). Some people with CKD live out their lives without ever reaching ESKD. In fact, the majority of people with kidney disease have no symptoms when first diagnosed and are diagnosed on the basis of blood or urine tests. However, for people at any stage of kidney disease, knowledge is power. Knowing the symptoms of kidney disease can help you get the treatment you need to feel your best. Kidneys make urine, so when the kidneys are failing, the urine may change. How? You may have to get up often at night to urinate. Urine may be foamy or bubbly. You may urinate more often, or in greater amounts than usual, with pale urine. You may urinate less often, or in smaller amounts than usual with dark coloured urine. Your urine may contain blood. You may feel pressure or have difficulty urinating. “My urine is what I started noticing first. Failing kidneys don't remove enough fluid which then builds up in your body causing swelling in the legs, ankles, feet, face and hands. Healthy kidneys make a hormone called erythropoietin that tells your body to make oxygen-carrying red blood cells. As the kidneys fail, they make less erythropoietin. With fewer red blood cells to carry oxygen, your muscles and brain become tired very quickly. This condition is called anaemia which can easily be treated. Kidneys remove waste from the blood stream. 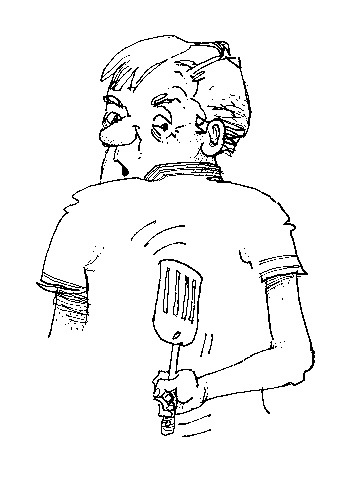 When the kidneys fail, the build-up of waste products in your blood can cause severe itching. it’s just right down to the bone. A build-up of waste products in the blood (called uraemia) can make food taste different and cause bad breath. You may also notice that you stop liking to eat meat, or that you are losing weight because you don't feel like eating. “Foul taste in your mouth. The severe build-up of wastes in the blood (uraemia) can also cause nausea and vomiting. Loss of appetite can lead to weight loss. Trouble catching your breath can be related to the kidneys in two ways. Firstly, extra fluid in the body can build up in the lungs. And secondly, anaemia (a shortage of oxygen-carrying red cells) can leave your body oxygen-starved and short of breath. Anaemia can make you feel cold all the time, even in a warm environment. 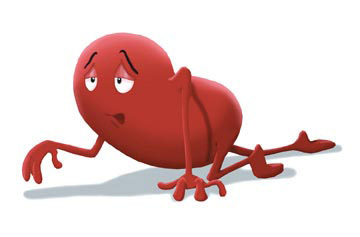 Anaemia related to kidney disease means that your brain is not getting enough oxygen. This, combined with uraemia, can lead to memory problems, trouble with concentrating, and dizziness. week or maybe 2 days ago.